That's right. 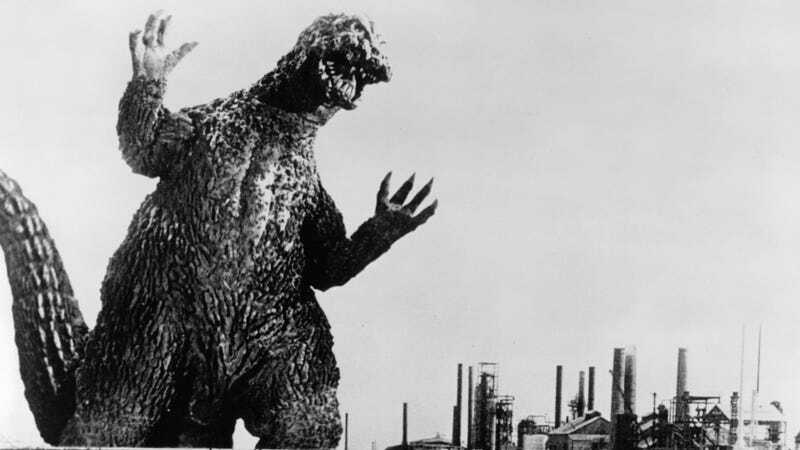 Despite having murdered god knows how many citizens during his countless rampages throughout the island nation (let alone the world) of Japan, Tokyo's Shinjuku ward has officially decreed that Godzilla would be its newest tourism ambassador. At an awards ceremony next to [a 171-foot-tall] giant Godzilla head, an actor in a rubber suit waddled to Shinjuku Mayor Kenichi Yoshizumi. However, Toho executive Minami Ichikawa had to accept the residency certificate in Godzilla's place, since the suit's claws aren't designed to grab anything. Hiroshi Ohnishi, chief executive of the Isetan-Mitsukoshi department store chain, who heads the area's tourism promotion, kept referring to Godzilla with the very polite honorific "sama" — used at the end of a name — underlining respect for the creature as a business-drawing landmark for the region. Godzilla has destroyed Shinjuku three separate times during his 50-year career, faring better than some places in Japan, worse than many others. Had these victims not been completely burned to cinders by Godzilla's atomic breath or crushed into pulp by his giant foot, they would like roll over in their graves at their murderer being honored. I can't really fault the Japanese government here; obviously, if Godzilla tells you he wants to be made ambassador, you kind of have to give him the title before he "accidentally" stops watching where he steps. But I'm afraid that Godzilla is secretly angling to get diplomatic immunity, allowing him to stomp through cities throughout the world without fear of repercussion. God help us all if that happens. And Mothra, too.